Garbage (kachra) is generated in every sphere of activity on a daily basis. But it is not managed, disposed or treated as often, rather it is burnt in order to avoid handling. But, this burning of Garbage/Kachra is a serious Fire and Health Hazard. The waste in dumps is home to various harmful pathogens and bacteria, which feed on the garbage and give off a foul odour, and attract insect vectors to the dump. These waste dumps are an ideal place for breeding mosquitoes, flies, cockroaches etc. These insects attract other predators to the waste dumps, thus forming a food chain on the waste dump/site, posing a health hazard and nuisance to humans and society as a whole via epidemics and disease outbreaks due to poor waste management, disposal and treatment. 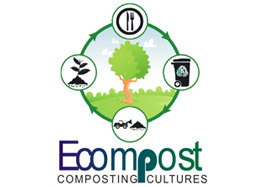 ECOMPOST - a biological preparation containing micro-organisms, which compete with harmful pathogens and bacteria present in garbage for food thus, eliminating them as well as initiating the initial process of decomposing the waste. Also, aerobic fermentation of the garbage prevents the elimination of foul gases. Besides repelling insects ECOMPSOT leaves behind a refreshing fragrance in and around the dump, thus reducing the health risks. While ECOMPOST microorganisms act on the garbage, its volume and weight is reduced, thus saving on the cost of transportation, while sending it to the main dumping ground. ECOMPOST can be used for managing waste in Dump Sites in Urban and Rural areas, Hospitals, Restaurants/Hotels, Solid Waste Yards, Sewage pipelines, Food Processing Units, Fish Markets, Slaughter Houses, Public Establishments, Bakeries/Confectioneries. Virtually eliminates the risk of Fire Hazard. Saves on transportation cost, due to a reduction in the bulk and volume of garbage. Prevents the foul odour around the dump/garbage site. Eliminates the further multiplication of harmful pathogens in the Garbage/ Kachra. As a Biological Treatment for Waste Management at Dumping points at various locations in towns, villages, talukas, districts etc. ECOMPOST is Environment-friendly, Safe and Hygienic. ECOMPOST does not contain any strong/ concentrated acids or alkalis. ECOMPOST can be sprayed onto the garbage heap/dump via a sprayer. To convert 1000 kg of waste/ garbage into organic manure, first lay out the waste in windrows of 2 m wide by 5 m long and 1 m high. Then broadcast 5 kg of ECOMPOST onto the windrow and sprinkle enough water to make the surface wet. After 20 days turn the windrow upside down, maintain same layout and broadcast another 5 kg of ECOMPOST and water to make surface wet. After 20 days repeat once more. At the end of 60-days the waste has been converted into Organic manure ready for use after sieving and removing any undesirable objects like metal, plastic, stones, etc.